Lookin’ for fresh new sounds for your Omnisphere 2? The you’ll be interested in the new collection of patches for Omnisphere 2 from PluginGuru called Northern Lights by Jason Schoepfer. Northern Lights is a brand new patch library for Omnisphere 2.1 with 166 Patches, 92 Multis and 8 SoundSources. 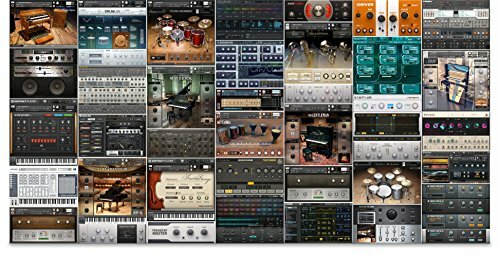 The latest release from PluginGuru.com is a collection of presets from a sound designer other than John Skippy Lehmkuhl (the PluginGuru himself). This amazing library was created by Jason Schopefer – a unique and talented sound designer and musician who lives near the heart of the Canadian Rockies – in Calgary, Canada. Northern Lights is a new unique patch library for Omnisphere 2.1 that explores the world of MOTION! Motion Pads, a multitude of Bells (that have lots of animation and motion to them) and over 50 Textures Patches that have magical qualities that will instantly inspire when played! This is also the FIRST LIBRARY I have released where we celebrate the ORB!! Lots of patches are saved with the ORB turned on and with a motion sequence recorded that causes sometimes slow evolving and other times, fast, abrupt, fun sonic transitions that are even TEMPO SYNC’d to your sequencer! With this being the 12th library for Omnisphere (whew!… really??? LOL) it’s truly exciting to STILL HAVE new territory in Omnisphere 2 to explore. Jason has crafted sounds that are beautiful on a solo trek but are also truly magical if layered with other instruments (Piano, Strings and Guitars all sound amazing with his pads, textures or even bells as an underlying layer to thicken the sound). The envelopes for the pads are short enough to not get in the way and the motion will give special support no matter how they are used. ← SEQui2R Synth for Kontakt from Audiofier ← Eclipse from Wide Blue Sound for Kontakt is here!